Madjax® - Innovative Golf Cart Accessories for Your Lifestyle. Lift kits, tires, wheels, seats and more. 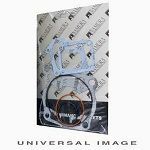 Namura Technologies offers a wide variety of pistons, rings, gaskets and bearings for today’s MX, ATV, UTV and Off-Road riders.